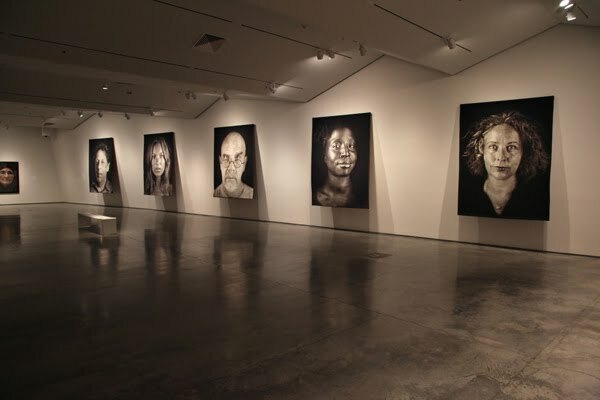 Five tapestry portraits by Chuck Close, published by Magnolia Editions, are included in "Faces: Chuck Close & Contemporary Portraiture," currently on view at the Nevada Museum of Art. Reviews of "Faces" can be found at Reno News & Review and the Reno Gazette Journal. 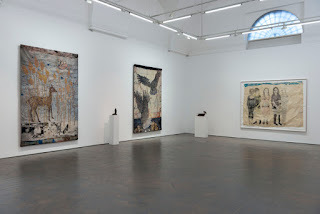 The exhibition, which is curated from the Doris and Donald Fisher collection, includes work by Gerhard Richter, Jim Dine, Cindy Sherman, and Andy Warhol as well as paintings and a hologram by Close. The exhibition runs through October 18; for more information, please visit nevadaart.org.